I read your blog.I like your blog.Thanks a lot. How nice of you to say! I am delinquent in doing the final post in the series. I must get on it! I am most interested in the Mayan Ruins…can you please book that for me? I have never been to Belize but some twenty years ago, did visit some islands just a wee bit south of you… Aruba, Bon Aire and Curacoa, just north of Venezuela. Beautiful tropics…had a wonderful time. I was very interested to learn of the Mennonite population there. I had no idea! Not to pry, but how did your sister become a Mennonite? I am fascinated by the lifestyle. The Mayan ruins were a sight to behold. To think that they have lasted this long and how in the world did they build those stone pyramids without cranes and hydraulics? What a feat. Are you a diver? Snorkeler? Oh, and are you still posting? I haven’t received notice of new posts from you. Hmmmm . . . The Mennonite question is more that can fit into a reply. I mention the precursor to her joining…the “why” before the change in a post i wrote about my grandmother. You are free to check it out. Of course I snorkel…and would love to learn to dive. A close family friend (who lives too far away) is a diving instructor…one of these days. Still posting, been crazy busy these days. Not enough tome to read my reader, let alone write. I double-checked and I am still signed up to get notices of your blog posts. What the heck, WordPress? What is going on? Now that you mention it. Some time ago…you fell off my radar for a while and I found out that I was no longer getting your posts. I had to put you in my reader again. I’ll have to keep an eye out for this…maybe their is a glitch with WP. Next time, pack me in your suitcase. Deal. Since all you need in Belize is a bathing suit and a pair of flip-flops, there will be plenty of room in my suitcase. You can come with us next time we go. It would be handy to have a bellman along. I get so tired carrying my bag around. Yeah, that would be fun for me. Lucky for you, I tip well. The Caribbean and Latin America tend not to have much of a middle class as we would think of it. But they are amazing places to visit and work. Where are you going? May I suggest Belize? I have tasted a drop of Belize for a day. Did you have any chance to get an up close look at the teeming iguanas? That fright is still fresh when I hear about Belize! Your photo has taken me back to some good memories and a quick flight from our cold North to the warm beach! Sigh!!! We had several iguanas living in the tree next to our cabana. They look prehistoric, don’t they? Where did you go in Belize? One place I always wanted to go. I hear the tarpon and bone fishing is amazing. I am so looking forward to your upcoming posts. Yes, there were several fly fishermen out for the big catch. I would highly recommend a trip to Belize. Tropical paradise here on earth. I’m sorry, you lost me at no internet… Alright, sure like a nice place to vacation and I can’t wait to hear how your trip went. I remember spending 2 weeks on a couple of islands in the French Caribbean. After a couple days on each island, I was ready to leave. There are so many hours I can spend on the beach, haha! It was amazing how easy it was to unplug on our island. Besides many snorkeling trips, I read many books! What a treat. Maybe you should give it another shot. I have friends that sail there, I have always been envious. Now, even more so. The color of the water went from aquamarine, jade green, and sapphire blue. A perfect place to sail. It was 11 degrees this morning. I need to ride a magic carpet to that beach. I’ll hop on your magic carpet. I’m packed and ready when you are. What a winter it has been! I know where you can get away from it all! Has the deep freeze ended in your neck of the woods? If not, may I recommend a quick jaunt to Belize? I hate to tell you this . . . but, it is 76 degrees here today. I’ll get you, my pretty. And your 76 degrees, too! Sounds like heaven. Enjoy and keep the pictures coming. Sunglasses and sunscreen! And tropical drinks. I partook in all three. QUite a few people we know are talking about Belize for beaches and relaxation..maybe even retirement homes. Will be interested in your impressions. Belize is an undeveloped paradise without endless hotels standing shoulder to shoulder. Tourism drives much of the economy, but nothing like Hawaii. It was a great place to unwind and unplug. We only checked email twice! There didn’t seem to be a point to disrupt our solitude. Umbrella drink coming your way! The fewer tourist the better for us. So not into Hawaii and MX has really changed. I do find the sharp contrast between resort luxury and residents’ poverty disturbing on some of the islands. Tourism is a big opportunity for them. Yes, the poverty was troubling. I was grateful that our resort accommodations were modest rather than lavish. It would have felt just plain wrong otherwise. The locals appreciate the tourism, but I can’t imagine what they feel about the dichotomy of their lives compared to that of the tourists. I would recommend either staying on the cruise ship that day or doing a trip to the Mayan ruins. There really isn’t anything to see in Belize City. Can I come along? I booked a balcony as a single — I have all the room in the world. (I snore, and my traveling companion talks in her sleep. We decided to splurge –we’ve been saving for this since 2009! You are going to love it. Love it. The air is soft and the water is every shade of blue in the crayon box. When are you going. I’ll start packing. I snore too, so we can snore in harmony. Lots to do in Belize City-try the Old Belize Museum, beach & restaurant or Bird’s Isle restaurant (gets extremely crowded in ship days). 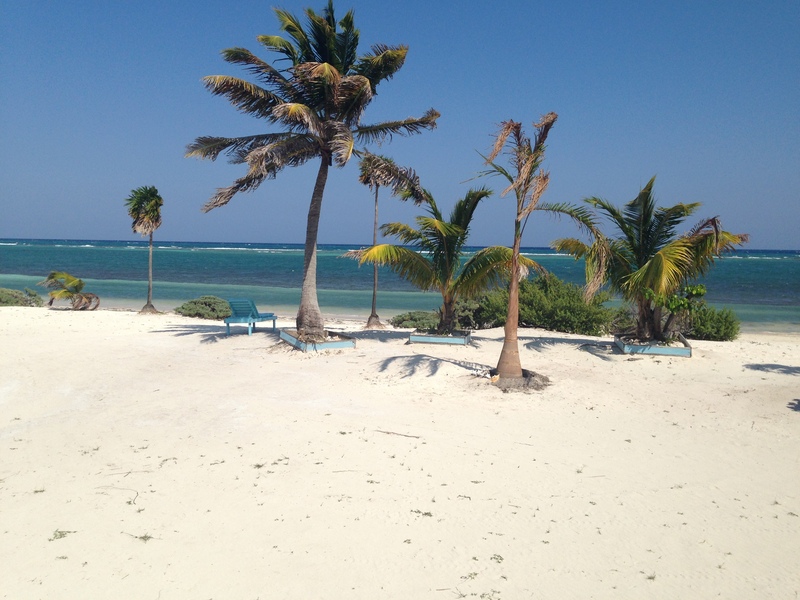 For snorkeling you can do a day trip to Goff’s caye. These are only some of what you would miss out on if you stay on the ship. Best wishes. Well, sounds like I need to go back to do more exploring of Belize City. I’m good with that! I wondered why we never heard who won the “coolest place to have a beer” contest. Still waiting! 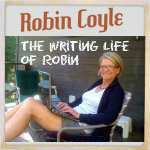 You can’t distract me with your fabulous travelogue…. Oh gosh! I forgot to do a post on that. Silly me. I’ll do so after my Belize series. Thanks for keeping me honest! What a paradise view! Really interesting post, I love hearing about people’s travels and learning about how things are around the world. But seriously, you didn’t know that stuff about the barrier reef and the chewing gum? I thought EVERYONE knew that 😉 My mum just got back from a couple of months in India and I was fascinated to hear all about it. I look forward to your follow-up posts on this! I guess I was out of the Belizean loop when it came to the coral reef and chewing gum. The biggest surprise was the Mennonites. They look so out of place but have found a peaceful home and an agricultural niche. A couple of months in India? Was your mom there for that big spiritual retreat in February? No, she just ups and goes off volunteering here and there around the world every so often! And you should tag along! Bah. The job and the kids can fend for themselves. You’re right! Maybe I can kill two birds with one stone, and just get the kids to go and do my job. 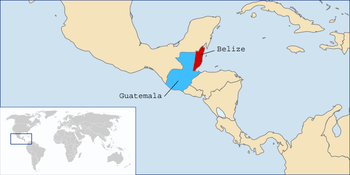 Was Belize where they (apparently) found the first crystal skull? I believe so, yes. Our guide at the Mayan ruins lamented about how many archeological treasures, including a crystal skull, have been taken out of Belize.